LOST & FOUND: If you are looking for a LOST item or wish to turn in a found item, please head to the Gate 1 Tollbooth Monday morning located near the main entrance the property. There will be a Lost and Found station there from 8AM to 12PM. GETTING PICKED UP? If someone is picking you up from LOCKN’, please have them meet you at Gate 2. LOCKSMITH, TOWING & CAR ISSUES: For all towing, lock out, mechanical issues, flat tires, etc. contact Front Street Garage at (434) 263-4814. This company does accept AAA. For a locksmith, call 7 Hill Locksmith at (434) 237-0000. LEAVE NO TRACE: When the show ends, Site Ops teams will be at the Main Gate exit to the Campgrounds handing out free trash bags! Please clean your campsite by putting everything in these bags, tying the bags up, and leaving them at the campsite. Include your cigarette butts! Let’s leave the farm as clean as we found it. NEED A RIDE? : Head to the Taxi Stand to hail a taxi or call an Uber. DRIVING OUT? As you start to leave the property in your car, please look for flaggers along the roads who will direct you to the most efficient route off the property. There will be a short time in the early morning (half an hour or so, around 7-8am) that we need to limit traffic leaving the property so that area school buses can easily get around the roads. We appreciate your understanding on this and will update our website and social media channels with more details in the morning. STILL HAVE QUESTIONS? 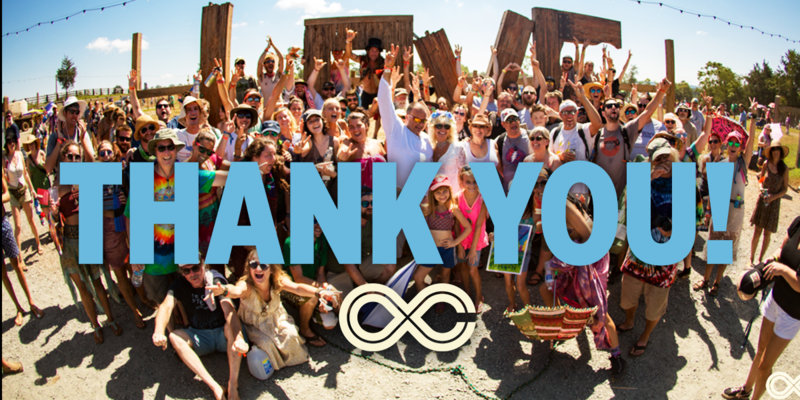 If you have other questions, check out our social channels for the most current information, or send us an email at Info@LocknFestival.com.